be alone. That message, unexplained and unexplainable, became the rock she clung to. After years of life lessons from a parade of unlikely experiences and a cast of colorful characters, Kennedy found her way. Out of nowhere, the right business opportunity – the then unknown practice of body sugaring – appeared. 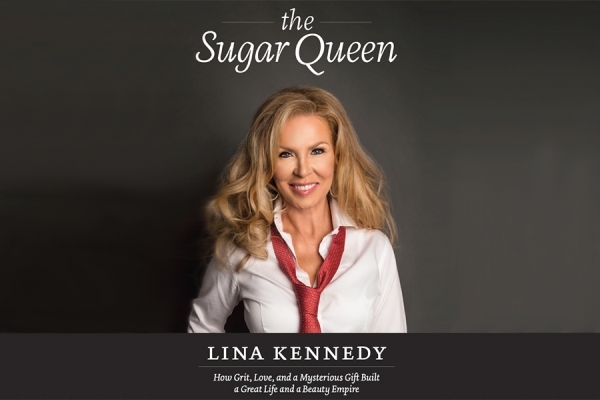 Her decades of hard work inspired not only a revolution, but ultimately, the title, many admirers give her, the Sugar Queen. Kennedy’s natural storytelling ability makes her autobiography a joyous read – a page turner full of drama and surprises. Even in the darkest episodes, she lightens and brightens her story with humor, warmth, spiritual discovery, and her infectious joie de vivre. BioPhotas, a market leader in therapeutic LED light therapy devices, announced earlier this year a major product line extension to the company’s Celluma series of light therapy devices. In addition, the company is now offering a two year manufacturer’s warranty on all new product sales. The company also announced the opening of sales offices in London, England and the launch of a new website. In a groundbreaking, first of its kind event, MyFaceMyBody will host the inaugural Global Virtual Aesthetics Summit (GVAS) on November 10 and 11 2019. GVAS is an innovative and pioneering two-day event incorporating both clinical and business programs presented by some of the world’s most leading industry speakers in a virtual space. 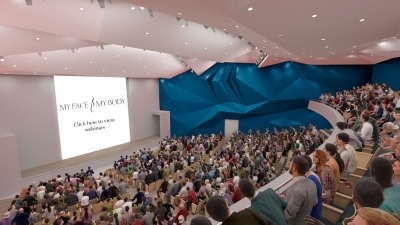 MyFaceMyBody is known for innovating in the education, training, and awards recognition arenas. GVAS offers aesthetic professionals from all over the world a tailored experience to education in the comfort of their own home or work space. Attendees for the first time will receive a personalized itinerary of educational workshops that are suited to their own experience level, qualification, and interests. This enables attendees to save time and money in attending a conference and, at the same time, have a focused learning experience. Not only this, owners of aesthetic businesses can afford to invite their entire team to experience, learn, and develop their skills from as little as $60. The conference program has been designed to cover content from the fundamentals right up to advanced techniques and groundbreaking innovations. Professionals can achieve credits and be rewarded when attending workshops over the two days. This continuous, 48-hour global aesthetics event will feature some of the world’s most prominent industry experts. The event will host over 100 leading speakers across a multi-specialty program with a business program showcasing successful practice owners from around the world. There are two programs including unique, live demonstrations and cutting-edge innovations by industry leaders. The Clinical Program Schedule will include topics such as skin enhancement techniques, new and emerging technology, tattoo and pigment, face lifting, minimally-invasive rejuvenation, fat transfer and stem cells, and much more. The Business Program Schedule will feature topics such as tracking and metrics, leadership in the workplace, social media, legal issues, dealing with difficult patients, and how to sell a practice. Just like a traditional conference, speakers will engage with their audiences on a variety of subjects and case studies. Pre-recorded sessions and demonstrations will provide speakers with the rare opportunity to give live feedback to audiences globally, all from the comfort of their home, office, or local studio. When entering the virtual lobby of GVAS, attendees will be given the opportunity to engage with local suppliers in their own country in specific regional exhibition halls. Attendees will gain insight into some of the latest technologies and industry advancements from around the world. Attendees will achieve virtual points the more they engage with brands in exciting gamification throughout the two days with numerous prizes up for grabs. Companies are utilizing the cost benefits of GVAS to offer attendees show offers they would not normally receive anywhere else. “I believe GVAS makes everyone a winner when it comes to saving time and money. GVAS enables professionals to network from all over the world and gain new insights into how they can differentiate their offerings in their own local market,” says founder Stephen Handisides. Designated exhibition halls will represent the United States, United Kingdom, Europe, China, South Korea, Australia, Brazil, South Africa, and the Middle East. CIDESCO, the world standard for beauty and spa therapy, calls on its global membership to help protect the environment and health of the planet by advising their schools, students, and makeup artists to only use glitter made from non-plastic alternatives during their makeup courses and general makeup artistry. With many students doing makeup skill training using the CIDESCO syllabus and examination, this is an important move to ensure change happens in the industry. Standard glitter that is used for dramatic and costume makeup designs is made from etched aluminum that is bonded to a form of micro-plastic called polyethylene terephthalate. Micro-plastics such as these, when thrown away, are an ecological hazard, particularly in the oceans, causing harm to marine life and often ending up in the stomachs of fish and birds. 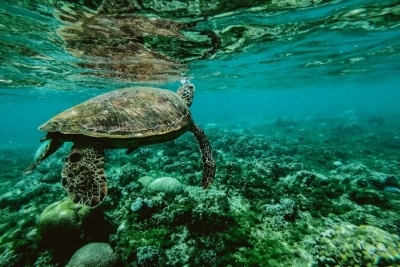 It is not only marine life that is of concern, as studies have shown that fish consumption of micro-plastics results in toxins further up the food chain. Increase in demand from the cosmetics industry is likely to fuel the growth of the liquid paraffin market. The liquid paraffin market is projected to grow at a rate of 1.2% by 2026, to reach $2.3 billion in 2026, an increase from $2.09 billion in 2018, according to a new report by Reports and Data. Short-term growth till 2022 is projected to grow at a healthy pace of 0.7%. Turmoil in the physical commodity market price index along with surplus inventory stock for liquid paraffin is anticipated to decline the growth of this market during the period between 2023 and 2026. Moving forward to 2019 and the following years, vulnerability in raw material prices remains a concern for this industry, along with unpredictable trade policies adopted by major consumers’ and manufacturers’ countries. The cosmetics, food and beverages, detergents, and lubricant industries will continue to be significant demand drivers for the growth of the liquid paraffin market. Qatar continues to be a dominant player in the supply of liquid paraffin, however, the mentioned region will likely face stiff price competition from Chinese and Indian manufacturers, where prices will likely see a dip of 16%, owing to oversupply. Capacity utilization rates have aggressively gone up by 11% during the period between 2017 and 2018, as prices of liquid paraffin stabilized in this region post June 2017. LAB continues to be the largest application segment in this market, valuing $1.5 billion in 2018 and reaching up to $1.74 billion, as demand for LAB has seen an overall increase of 6% during the past three years. The installed capacity has seen an increase of 26%, combing Africa, Latin America, Asia, and the Middle East. Sales of detergents, both industrial and domestic, are witnessing a rapid north rise, therefore, tangentially increasing the demand rate for liquid paraffin. Beuti Skincare reveals a new look offering a cleaner, modern, and eco-friendly aesthetic to reflect the brand’s approach to non-toxic, results-driven, and affordable skin care. From newly designed glass droppers to a sleek logo and updated website to offer a more user-friendly shopping experience, Beuti has set large goals for 2019 and beyond. “We wanted to create a look that truly evoked what Beuti Skincare is all about: transparency, authenticity, and healing. From our new packaging, glass jars, redesigned logo, and enhanced website we are excited to provide products that nourish your skin, but also your soul,” says founder Leila Aalam. From a person’s genetic makeup to personalities and appearances, every individual has unique traits. At Beuti, they recognize and honor that individuality by providing products that address individuals’ distinctive needs. Their products harness potent and supercharged ingredients, omegas, minerals, and actives to deliver results. Beuti’s core principles are to provide natural, nutritional ingredients without toxic chemicals to target common skin concerns like rosacea, inflammation, eczema, and cystic acne. All of their ingredients are handpicked to target these specific concerns by reducing inflammation and, in turn, healing and protecting the skin from long-term damage. The Spa at The Estate Yountville launched a CBD program with Mana Artisan Botanics, Hawaii’s premier wellness-driven hemp company. The spa will incorporate Mana Artisan Botanics’ massage concentrate into an upgraded CBD massage, as well as offer guests tea with Mana’s hemp honey. Visionary hospitality professional Terry Prager, executive director of spa and wellness at The Estate Yountville, Hotel Villagio and Vintage House, chose the line for the clean and effective products featuring full-spectrum organic CBD. CBD from federally-legal hemp has become a staple of wellness. According to cannabis industry research firm The Brightfield Group, the market for CBD-based hemp products is expected to reach $22 billion by 2022. The Skin Cancer Foundation hosted its annual member reception on March 1 at the Eaton Hotel in Washington, D.C., during the American Academy of Dermatology (AAD) Annual Meeting. As part of the reception, the Foundation announced the winners of its annual research grant awards. The Skin Cancer Foundation’s grants program provides research funding to support dermatology department research and clinical studies related to skin cancer. The 2019 grant recipients are: Stephanie Savory, MD, Shruti Naik, PhD, and Rie Takahashi, MD, PhD. A pioneer in the field of silicones for personal care products, Shin-Etsu Silicones of America, Inc. recently announced the hiring of Marie Capozzi as a regional sales manager to expand the company’s presence at key accounts and accelerate growth in the personal care and cosmetics market. Capozzi received her Bachelor of Science degree in biology from Fairleigh Dickinson University and has since cultivated a reputation as a tenacious business development leader with a broad background in cosmetic sales. Notably, she has developed key relationships with major accounts, while representing industry leaders such as Sensient Technologies Corp., Dow Corning Corp., and, most recently, EES Cosmetic Solutions. Capozzi will utilize Shin-Etsu’s extensive tool kit of innovative sensory solutions to enhance specialty products targeting the personal care, cosmetics, and hair care consumer. Capozzi joins the SESA cosmetics team at their 14,000 sq. 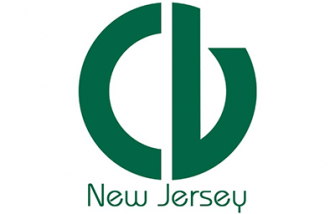 ft., state-of-the-art cosmetic application laboratory – strategically located in Paramus, New Jersey, which will allow her to be closer to many of its strategic customers based in New York and New Jersey. She will augment the sales team of Ginny Powell, An-li Quo, and Mike Gerlock to deliver innovative solutions to strategic customers in the personal care and cosmetics industry. Repêchage, the pioneers in seaweed-based skin care, launched the new Repêchage Triple Action Peptide Serum and revealed a new design and logo at this year’s International Esthetics, Cosmetics, & Spa Conference (IECSC) at the Jacob Javits Convention Center in New York City, New York. The Repêchage Triple Action Peptide Serum is the latest in advanced skin care science and natural ingredients. Using powerful peptide and seaweed actives featured in the best-selling, award-winning, and professionally-inspired Repêchage Triple Action Peptide Mask, this new serum does it all by hydrating, brightening, and firming. Fans loved how the Triple Action Peptide Mask helped to revive their complexion and asked for a more intensive treatment. Now, they can add the Repêchage Triple Action Peptide Serum, suitable for the face, neck, and décolleté, to their daily routine to see a youthful glow day and night. Repêchage also unveiled their new logo, launched in January 2019, and a brand new look for the seaweed-based skin care company. In addition, show attendees gathered to experience seaweed-based facial treatments, including the Repêchage Peel and Glow Facial. This unique treatment features the Biolight Luminex Mask, a professional hybrid peel treatment with alpha hydroxy acids, Kaolin clay, and seaweed extracts to exfoliate, deep cleanse, and hydrate. Following this treatment is the Triple Action Peptide Mask, an easy-to-apply sheet mask based on age-defying peptides and pure laminaria digitata seaweed extracts for hydrating, firming, and brightening. Show attendees also experienced signature treatments, such as the Repêchage Seaweed Facial based on pure, sustainably harvested laminaria digitata seaweed extract to provide a soothing and cooling treatment that leaves skin clean, hydrated, and glowing. The Global Wellness Summit (GWS), the foremost gathering of international leaders in the 4 trillion global wellness economy, announced that Irene Forte, wellness director for Rocco Forte Hotels and daughter of Sir Rocco Forte, British hotelier and philanthropist, will join its advisory board. Forte oversees the wellness strategy and offerings for the 14 Rocco Forte Hotels, has just launched Irene Forte Skincare, and has won awards for her achievements as a rising young entrepreneur. Forte will be instrumental in helping the GWS address the powerhouse demographic in the wellness industry: millennials. Candela Corporation, a leading global medical aesthetic device company, announced the publication of the largest study of infants and babies treated with a laser for birthmarks, port wine stains, and other vascular related skin conditions on the face and body. Roy Geronemus, M.D., a world authority on the treatment of laser-based vascular anomalies at Laser & Skin Surgery Center of New York, treated a total of 197 infants and babies with the Vbeam laser in an office setting without the need for anesthesia or surgery. The results of these Vbeam treatments are shared in Geronemus’ study publication titled “Pulsed Dye Laser Treatment of Port-Wine Stains in Infancy Without the Need for General Anesthesia.” Published in the April 2019 issue of the Journal of the American Medical Association-Dermatology, the study results include 26 percent of the patients experiencing complete clearing and 41 percent having greater than 75 percent improvement, with no cases of scarring or pigmentary change. The ability to treat pediatric patients without invasive surgery or anesthesia presents a new therapeutic frontier, especially given FDA warnings around the potential adverse effects of using general anesthetic and sedation drugs on children younger than three years old. The 595 nanometer Vbeam laser’s dynamic cooling spray feature allows for maximum versatility and epidermal protection, allowing Geronemus to make this treatment safe for all pediatric patients treated. 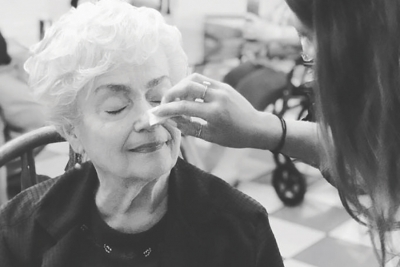 Data demonstrated that treating before the age of one leads to a more complete response rate and the highest rate of clearance among any age group. The Vbeam pulsed dye laser (PDL) is considered the gold-standard for the treatment of port wine stains and vascular anomalies in infants and children, as well as adults. Candela recently introduced the Vbeam Prima laser system to the market, representing the latest innovation in 30 years of clinical leadership for the Vbeam franchise. New technologies and sustainability are causing disruption in the cosmetic and personal care industry. Cosmetic brands and ingredient firms are investing in a raft of green initiatives, while technology is influencing raw materials, production processes, and distribution. Such developments will be featured in the next Sustainable Cosmetics Summit. The tenth North American edition of the executive summit will be hosted in New York May 8 through 10. Packaging pollution has become a major environmental issue for cosmetic and consumer goods industries, with about 300 million tons of plastic waste generated each year. Andrew Dent, executive vice president of Material Connexion will host a workshop on reducing packaging impacts. Highlighting industry best practices, he will guide cosmetic and personal care brands on how to make their packaging more sustainable. Shane Wolf, general manager of Seed Phytonutrients, will show how the brand is using novel packaging made from post-consumer paper. Launched on Earth Day 2018, Seed Phytonutrients are marketed as farm-to-bottle beauty products, as the company is sourcing organic ingredients directly from American farmers. Aveda has been implementing green initiatives since its formation in 1978. Melissa Chelminiak will give some insights into how it is addressing its environmental and social impacts. The company has won many awards (including Sustainability Leadership at 2017 Sustainable Beauty Awards) in recognition for programs involving ethical sourcing, renewable energy, product design, and responsible packaging. Other topics covered in the opening sessions includes, regenerative agriculture, methodologies to measure impacts, social risks in supply chains, and retailing case study. New technologies are having a disruptive influence on production, processing, and traceability of ingredients, as well as marketing of finished products. An update will be given on how plant cell technology is creating novel actives, as well as sustainable processing methods. Philip Prather from Down Under Enterprises will use Australian sandalwood as an example on how technology is being used to provide traceability for raw materials. Another speaker will discuss the opportunities provided by artificial intelligence; other topics include mobile apps for sustainable cosmetics, social media marketing success stories, and marketing implications of new technologies. Green materials continue to make headway into cosmetic and personal care products, however, there are some concerns about the long-term implications. Serena Pozza from the Ellen MacArthur Foundation will discuss the role of such materials in a circular economy. How can existing personal care ingredients be adapted for repeat use? How can truly sustainable chemicals be created? Dr. Ellen Kamhi will give an update on the growing array of natural ingredients used in functional skin care products. Other speakers will discuss new materials from food side streams, natural ingredients for hair care products, and innovating with green materials. Myriad Genetics Inc., a global leader in personalized medicine, announced that the Medicare administrative contractor Palmetto GBA MolDx has issued a final local coverage determination (LCD) for the myPath Melanoma test to help physicians provide a definitive diagnosis when a suspicious skin lesion is equivocal based upon histopathology. Melanoma is one of the fastest growing cancers in the United States and can strike people of all ages, races, and skin types. More than one million skin biopsies are performed annually and approximately 15 percent of patients have an equivocal skin lesion. The myPath Melanoma test analyzes 23 genes and has proven to be highly accurate in multiple studies at distinguishing melanoma from benign moles.